We’re two posts away from the end of my Christmas Gift Guides – how exciting! I’ve really enjoyed putting together lots of festive posts for you all, so I hope you’ve liked reading them. Today we’re chatting about skincare because sometimes they’re my favourite gifts to get and to give, and these sets are so lovely! 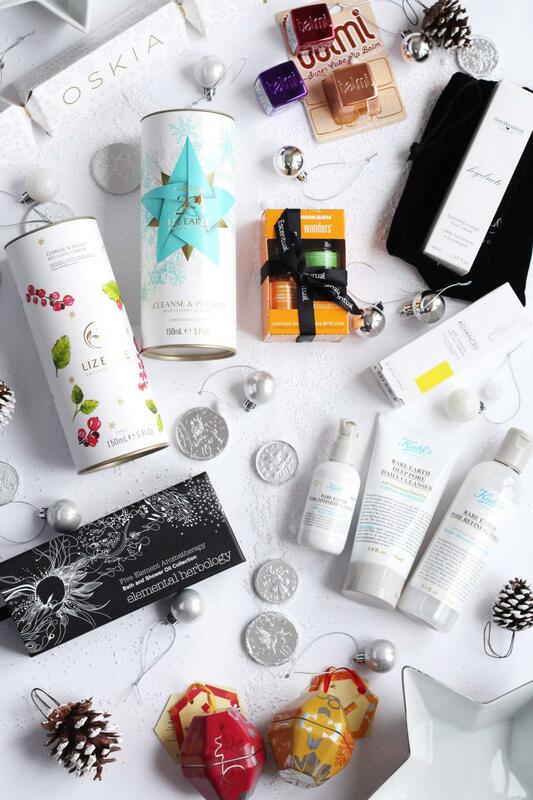 Starting with the beautifully packaged Liz Earle Cleansers in the middle – how nice would they be as a gift? Housed in a pretty tin, the classic Liz Earle Cleanse and Polish comes with the famous turquoise colours and the Liz Earle Pink Pepper and Mint Hot Cloth Cleanser has festive designs. Aside from it being an amazing cleanser, it’s a lovely idea for a present! First up are some pretty gift sets from Burts Bees. I adore Christmas tree decoration style presents and these tick the boxes perfectly for stocking fillers. 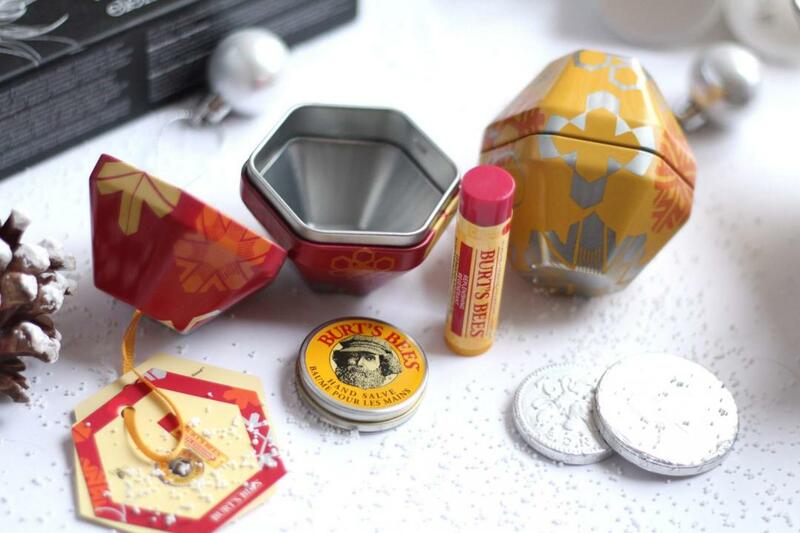 The Burts Bees Classic Beeswax Hand and Lip Tree Decoration contains a lip balm and a handy (eyyy) handbag-sized tin of hand salve! 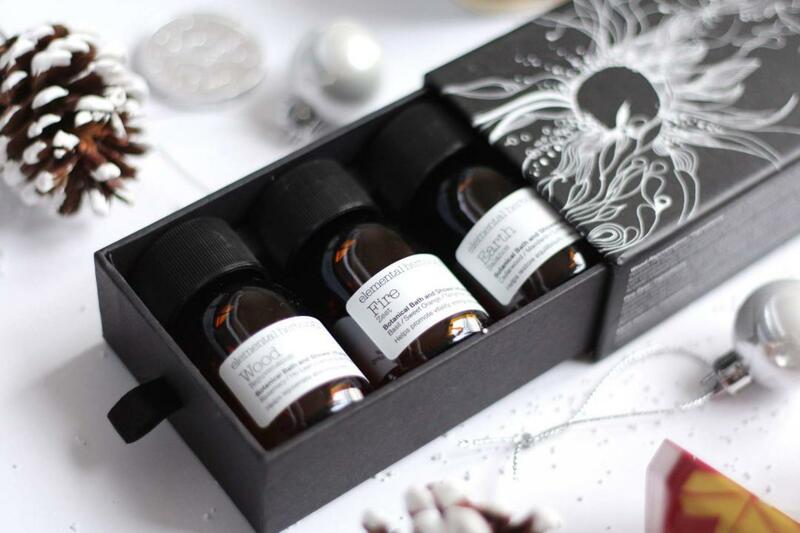 Not strictly skincare, but Elemental Herbology Bathing Infusions Five Element Aromatherapy Bath and Shower Oil is too nice not to include. With little bottles with different scents representing the five elements – fire, water, wood, metal and earth – and have dreamy fragrances to help you unwind. Now, I adore Kiehl’s. 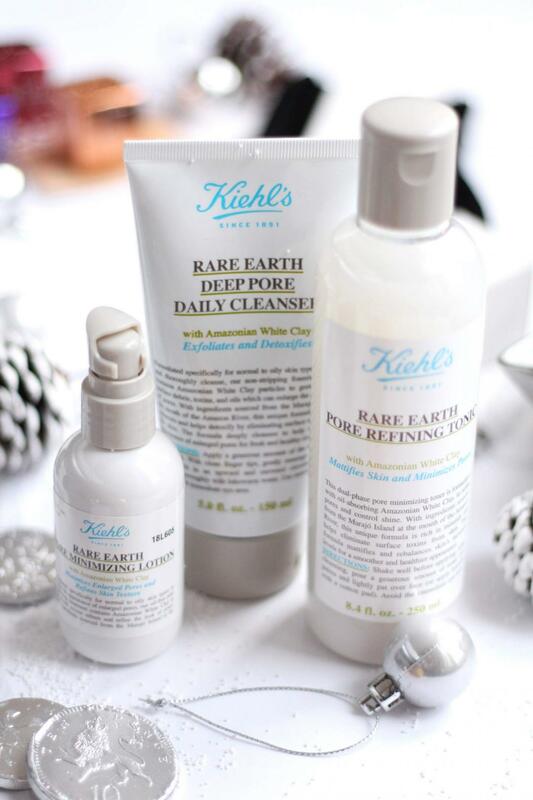 I’ve yet to find a range that I don’t like, but the Kiehl’s Rare Earth range is one of my favourites. They have gift sets out (and you can always make your own instore) but I love the idea of picking a range for someone to try out. The cleanser is one I’ve used for years so can definitely recommend and toner and pore minimising lotion make a fantastic set! Even though Oskia send this over as a present for me, I couldn’t not include it. In the Oskia Merry and Bright Christmas Cracker, you get a 40ml Renaissance Cleansing Gel housed in beautiful packaging – perfect for those wanting to try out this cult cleanser! 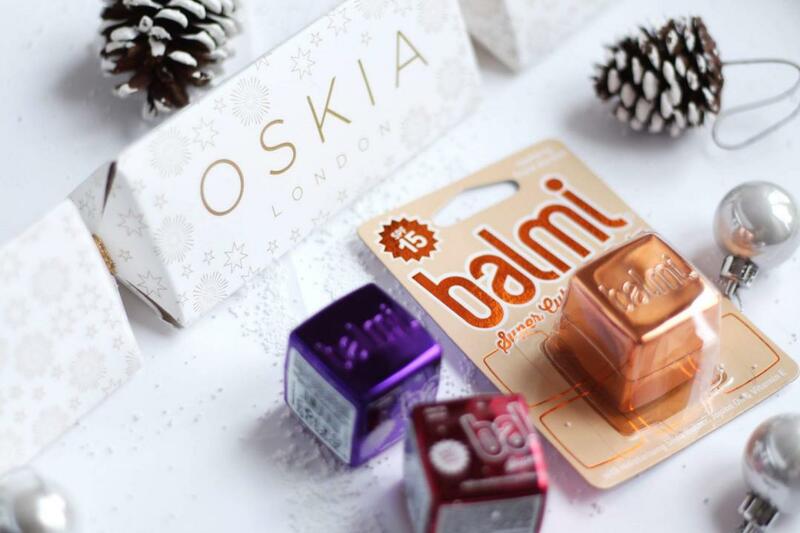 Balmi always bring out the best flavours and this year they have snazzy metallic Balmi packaging which is so festive! The flavours are roseberry (hello rose gold! ), cherry and blackcurrant – there’s something for everyone. 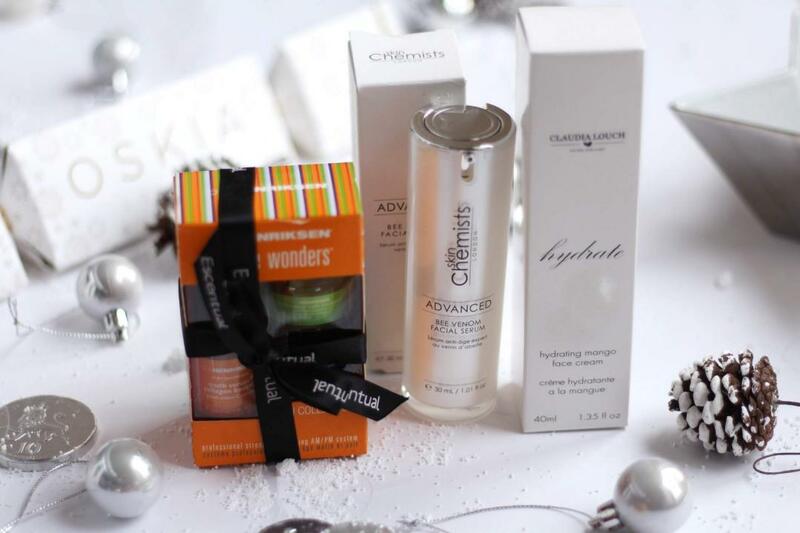 These three final skincare products are make fantastic extra gifts! The Ole Henriksen Three Little Wonders set contains the cult Truth Serum Collagen Booster, the Invigorating Night Treatment and the Sheer Transformation which is a good intro to the brand. Next is the Skin Chemists Advanced Bee Venom Facial Serum which, while it may be on the pricey side, it’s a brilliant serum which makes your skin plump, clear and radiant! Finally, for those who have dry skin, the Claudia Louch Hydrating Mango Face Cream is the perfect choice to keep skin in top condition for Winter!